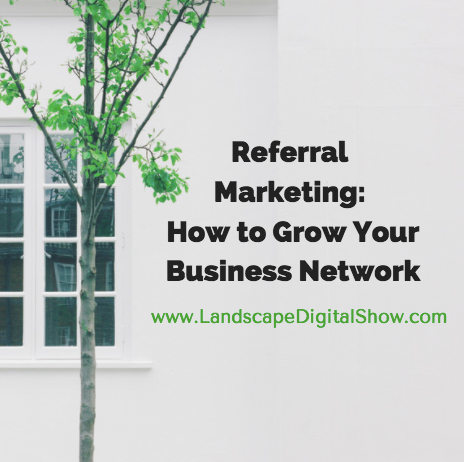 Episode 35 of Landscape Digital Show reveals how to grow your business network for referral marketing and most important, why. 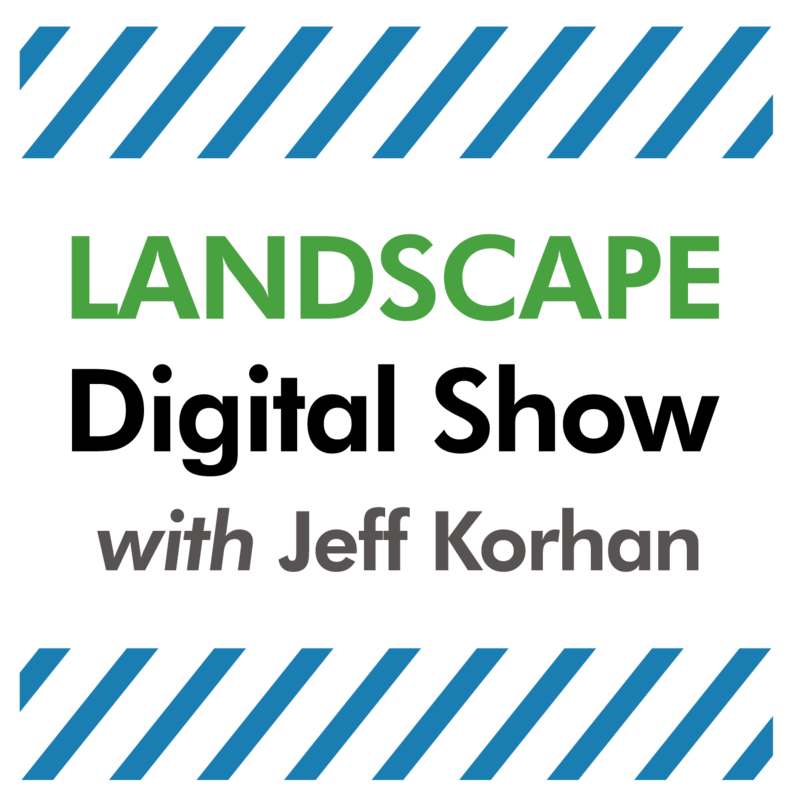 Most landscaping companies, and for that matter, virtually every brick and mortar small business will tell you that the majority of their work comes from referrals. That was certainly true for us during my two decades as a landscape business owner. The problem with depending on referrals is you are limited by both the size of your network and it’s ability to refer you. In this episode, we’ll solve both of those problems. But before we do, I’d like to frame this referral marketing discussion. In our soon to be published digital marketing report, respondents with companies from under $100,000 in annual revenue to over 25 million all named referrals as their #1 source of leads. In fact, it wasn’t even close. Referrals were nearly three times organic search results, which came in 2nd. Now, here’s what’s interesting. We also asked about the top business challenges and getting more leads (from referrals) was one of them. Clearly then, there is a gap that needs to be filled to keep the pipeline full of healthy referrals. 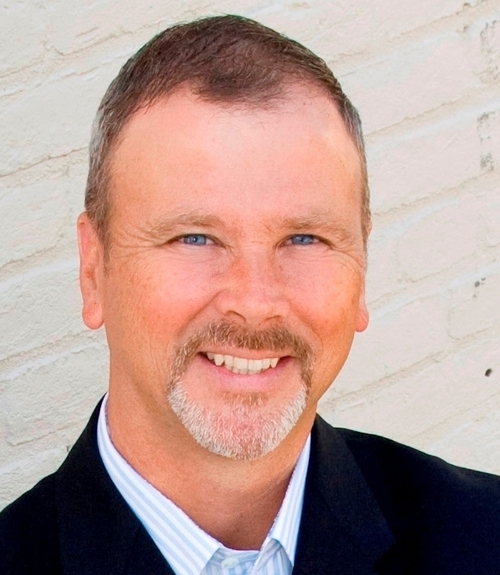 What I often hear is that incentives are the way to get more referrals. That’s one way, but the problem is it doesn’t matter how great the incentive is because eventually, you reach a point when the network is tapped out and further incentives are not going to produce anything. So, the challenge is growing your network by nurturing your relationship with the people in it and giving them the tools to refer your business. #1. Just keeping your database current will create momentum for growing your network of people that know, like, and trust you. You’ll be making connections on the social media channels, but there is nothing like live events for fast-tracking the process of getting to know people well enough that they’ll feel comfortable referring you. #2. Most people think networking happens at conferences, and it does. But the real work of discovering paths to new opportunities happens after the event, sometimes long after it. So, you have to develop a process for tagging contacts and periodically reconnecting with them. #3. Why do people hire your product? Not you, your product. In episode 34 we talked about your superpower, that thing that distinguishes you from other companies in your market that do what you do. That’s why they hire your product – it’s a combination of the problems it solves and the customer experience you provide along with it. (see book in show notes for more on this). For a powerful, yet economical CRM, a leader in the space is Nimble Social CRM. How you are managing your network, especially in regards to owning it with a database or CRM of some kind. Your strategy for consistently nurturing and growing it. Getting clear about giving people the tools to refer you. Make sure you can describe what you do, why and how you uniquely do it, and who your ideal buyer is so that people can easily refer you. My suggestion is all of that can be encapsulated into a brand story that represents your customer experience.